When you visit a city and have no friends’ kitchens to rely upon, restaurants usually are the first option that comes to your mind for eating and tasting delicious local traditional dishes. Well actually they are not the only one! 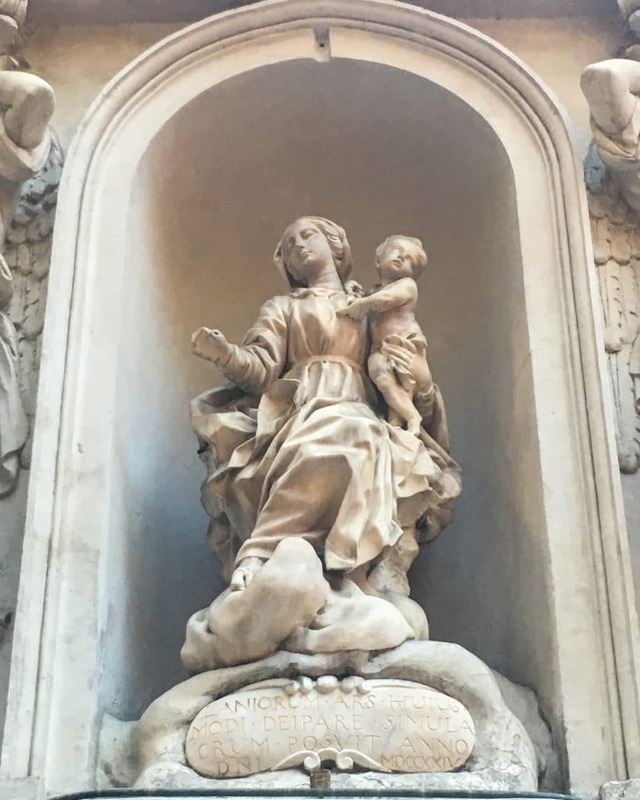 In Genoa for example there are endless street food options (Genoa indeed can be historically considered the cuddle of street food): bakeries where to taste focaccia, sciamadde where to taste savory pies, focaccia al formaggio (cheese pie) and farinata (chickpea pie), or friggitorie for fried street food such as frisceu (deep fried scoops of dough), fried anchovies, panissette (chickpea fritters) or frittelle di baccalà (cod fritters). But when I mean “dishes” I mean those plates that are cooked from scratch in a proper kitchen and that you usually enjoy served in a plate and sit (hopefully with family and friends) around a table set. Well, you can peak and taste what is usually served on a local table also visiting and shopping in those extraordinary food shops and deli which here are called gastronomie or rosticcerie. In these places essentially you can find freshly cooked dishes – both strictly traditional and just Italian – to take away. If they are dishes to be served hot, you can find them only an hour or so before lunch and dinner time, because they have to be sold ideally still steaming. If they can be served at room temperature or can be stored in the fridge they are available on the counters all day long. 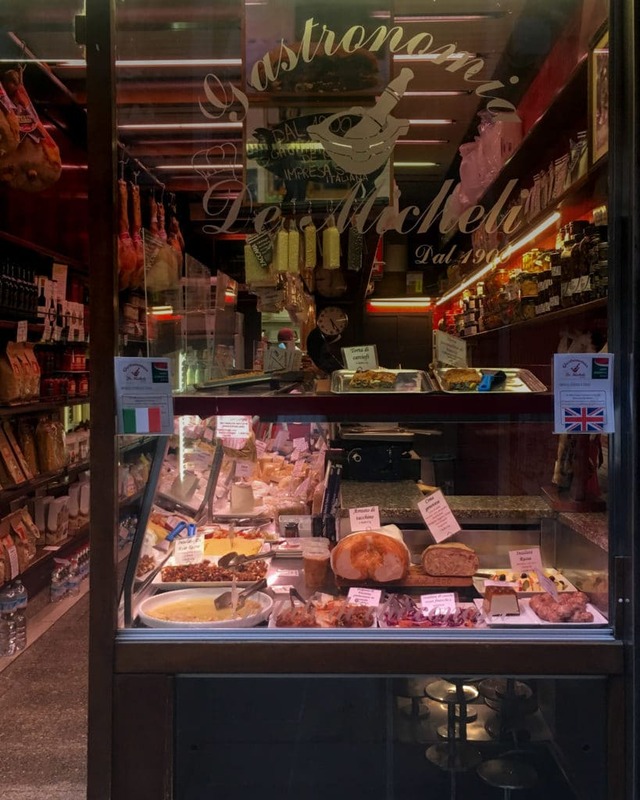 Usually, these places also sell a selection of cold cuts, cheeses, some bread and focaccia (for example to prepare sandwiches on request), wines, beers, sodas and water. You can also find high quality and carefully scouted food in jars such as pickles, tuna, tomato sauce, olives, extra-virgin olive oil and vinegar, spices and seasoning sauces. 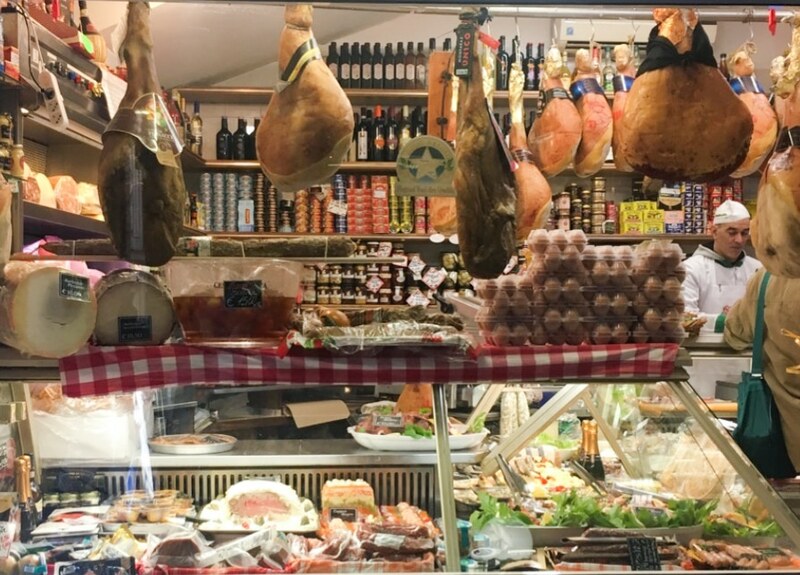 Actually, these deli are mines of wonderful local “non – tourist” food and an opportunity also for shopping some delicious Italian delicacies to cram in your baggage and bring home! Usually these shops do not have seats inside for tasting their food. 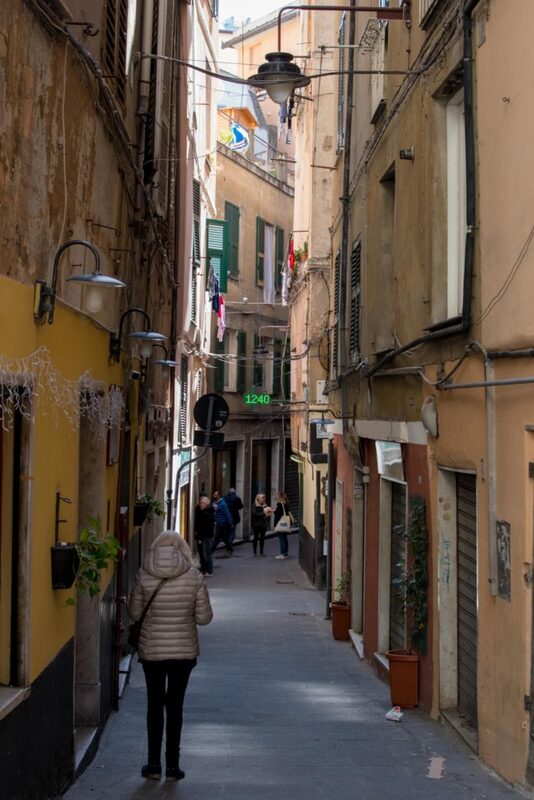 If you are renting an apartament in Genoa, shopping there is the wonderful opportunity for both enjoying true local cuisine and the kitchen of your house (without messing around and then doing the cleaning up, on holiday!). Nothing prevent you, however, to buy this “freshly made home food” for lunch, ask the vendor for disposable cutlery and enjoy your meal sat on a bench watching local people living their ordinary life. So, here my list of the best food shops and deli in Genoa historical center (with an outsider worth mentioning). Some advices: usually they close from 2 pm to 4 pm; you can click the address to see the place on google map; the number in the street address refers to the number of the shop window – usually marked in red – and not of the mail building. Enjoy! 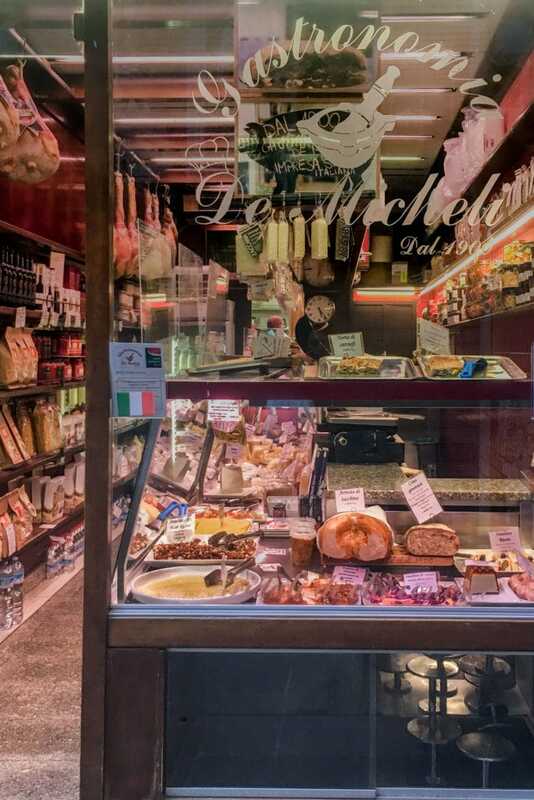 The shop is run by the very same De Micheli family since 1900 and since then they cook for their clients the best of the traditional Genoese cuisine. Here you can find cima ripiena(beef belly filled with eggs, peas and meat to eat cold and sliced), cappon magro (the magnificent Genoa sea food salad) stoccafisso accomodato (stewed codfish) insalata russa(boiled veggies salad seasoned with mayo), polpettone(a green bean tart) and many other typical dishes. But here you can also shop special cheeses. The owner, Stefano, since years took part to cheese exhibitions around Italy for selecting cheeses made only from small local artisans. 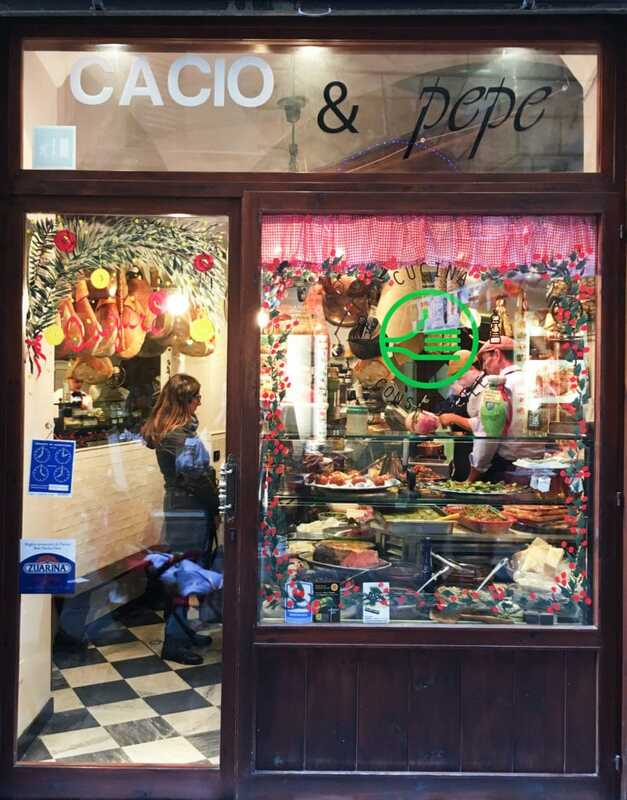 This is one of the most alive, authentic, delicious food shop and deli in the deepest caruggi (the narrow alleys) of the city (mind your bag along the street especially after sunset…). Though tiny, this place is always full of people of any kind, from the student to the pensioner, from the white collar to the immigrant, from the housewife to the employee on lunch break. Everybody here queue patiently for buying special good food, which is served by the owner’s family behind the counter with a sunny smile. Always. Cheese and cold cuts, bread (the owner, Vitale, bakes a special bread with onions inside which is superb) but also – and especially -“home made” food freshly cooked every day in the big kitchen in the back: Lasagne, melanzane alla parmigiana(parmigiana eggplants, the favorite of my father), minestrone, troffie al pesto, trippe accommodate(tripe stew, on Tuesday) or stoccafisso accomodato(stewed codfish , on Friday), savory pies and the famous polpette (meatballs). It’s worth a visit even if you are not going to buy anything just for experiencing a genuine Italian deli, the aromas, the noises and the little chats, the colors, the expressions on the faces of the people waiting. Cacio e Pepe is a deli run by two young guys with a great passion for good food. Every day the team offers different menus to take away, with plates both traditional Genoese and classic Italian, all prepared daily with fresh seasonal products. Here you can find made lasagnas, gnocchi alla romana, cannelloni, minestrone, arrosto ,tiramisu…. They have a special care for vegetarian and vegan people, offering every day a “conscious menu”. You can also buy carefully scouted Italian cold cuts and cheeses. The place is always full of people, which is the best clue of how good their food is! From 1946 Centanaro is by definition THE charcuterie shop in Genoa. The pork comes directly from Piedmont and is chosen with the profound knowledge of those who, for years of profession, select and work the meat with skill. The meat is processed in the well-equipped laboratory inside the store (the pride of the activity) and then seasoned and matured. 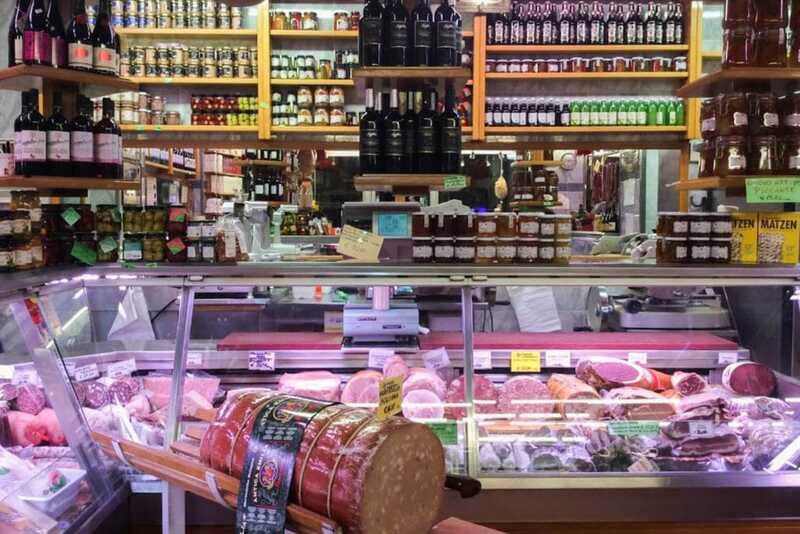 So if you are in fond of Italian salami, prosciutto, mortadella, porchetta and so forth this is the place where you have to go, taste and shop, shop and shop. Meats can be vacuum packed so they can travel back with you straight to your home pantry. They also offer a selection of high quality Italian chesees, extra-virgin olive oil, mustards. In the heart of downtow, just in front of Gastronomia de Micheli, in 2014 opened Jaa-Nù – which means “new life”. This is a small but rich vegan gastronomy. Here you can find strictly organic products and ready-made specialties that you can eat on the spot (there are few places) or take away. 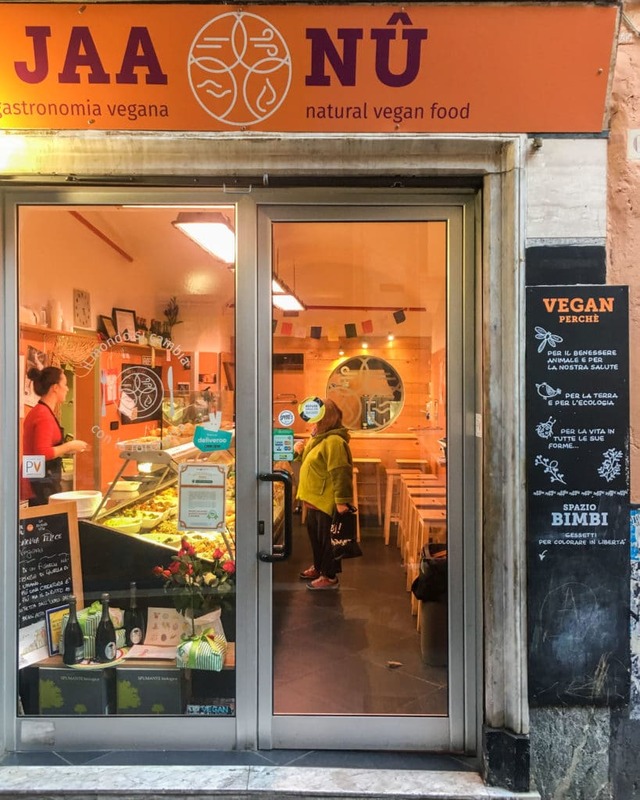 This deli combines in a tasty mix some traditional Genoese dishes – such aspesto or polpettone(green bean tart) in a strictly vegan version, and Indian specialties. The menu is renewed every day: stuffed vegetables, soy meatballs and stew, chickpea burgers, millet cakes, fruit and vegetable extract but also vegan tiramisu and puddings. Selection and preparation of products mainly follow the animalist philosophy, which makes non-violence and respect for living beings its main objective. Many people – also omnivores – love this place, so do not go there after 5 pm, likely everything will be gone! 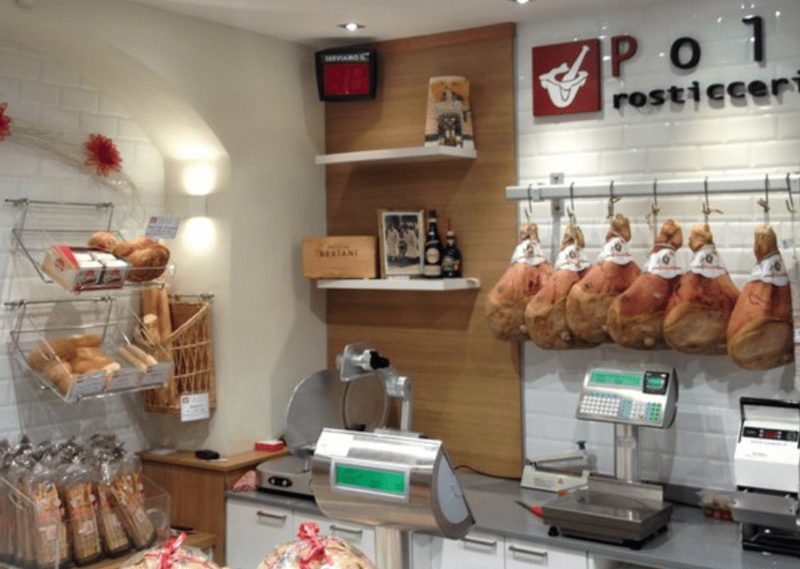 This deli is the outsider, as it is located in the easter part of the city, in the neighborhood of Quinto, close to Nervi. But it’s worth mentioning because all the dishes they prepare are superb. This deli is very popular and crowded any time every day. Here you can taste a great variety of traditional Liguria dishes and Italian classical preparations. They often offer seafood dishes and other more sophisticated preparations. Prices are slightly higher than in the city center due to the very high quality of the raw materials used and to the generally upper class clients. Don’t go hungry! Subscribe to my newsletter!